This is the second part of my two-part look at the best wineries and wines in Virginia’s Monticello AVA. Read the first part here. My most extensive experience of the weekend came with King Family Vineyards and its winemaker, Mattieu Finot. We toured the vineyards, spent time in the tasting and library rooms, and shared several meals together. Born and raised in the Rhone Valley in France, Mattieu has become one of the most well-known, experienced and respected winemakers on the East Coast. He’s a walking fountain of knowledge and experience, and it shows in the breadth of the wines he produces. The King property is expansive and set up to accommodate a good amount of food traffic, and the views include some of the winery’s vineyards. It has a lovely setting on a valley floor, with views of the surrounding hills and mountains, and is the kind of place that families and groups visit to taste, eat and relax. The property also hosts a full calendar of polo matches. 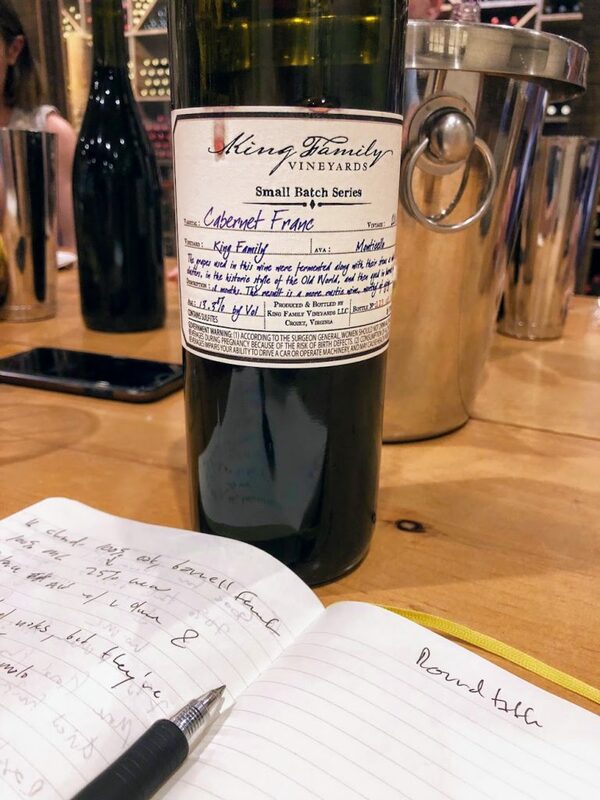 Mattieu was referring to the 2017 King Family cabernet franc, the lightest red in their standard wine program. It gets a modest cold soak to extract color, expressive aromatics and some light tannins, but sees limited tannin development and extraction beyond that. He called it a “red version of rose,” and it’s a nice red wine for the Mid-Atlantic’s warm summer and late-hitting autumn. To contrast this style, Mattieu then opened the cabernet franc from his Small Batch series, a highly limited production of wines meant to highlight specific vineyards and/or winemaking techniques. The 2016 cabernet franc is made using whole-cluster fermentation and strikes a more serious and weighty pose. Over the course of the weekend, I was also able to try the skin contact 2016 viognier and fully dry 2015 petit manseng Small Batch wines. All three were impressive and recommended. Other experimental wines in the Small Batch series include a chardonnay and merlot, both done without any sulfur additions, a single varietal malbec, and an estate red blend. These are definitely worth visiting the winery to obtain. Mattieu is experimenting with beginning fermentation in bins in the vineyard in order to produce a true single vineyard wine. All wineries have yeasts living within them that inevitably join fermentation, no matter how it begins. By beginning fermentation in the vineyard, his theory goes, he is preventing the winery yeast from joining the party, and isolating the vineyard’s yeast to make a true single vineyard wine. Depending on how well this works, he may release it as part of the Small Batch series. King Family has a pretty serious library program as well. King holds back a percentage of wines from each vintage, and releases them when they believe they’re starting to hit their prime drinking age. This is a great way to see how Virginia wine ages, and something I wish more wineries did with this level of diligence and thought. Also at the roundtable was Ben Jordan, the winemaker from Early Mountain Vineyards, which I visited the next day. Like Mattieu, Ben is one of the region’s most revered winemakers, and it’s easy to see why when you talk to him and taste his wine. He is able to clearly express verbally and through the wine each consideration that goes into winemaking, and I learned quite a bit from him in a short amount of time. Early Mountain is actually north of the Monticello AVA’s boundary, but makes some of its wine from vineyards within the AVA as part of a broader effort to showcase good wine from the wider Virginia wine scene. 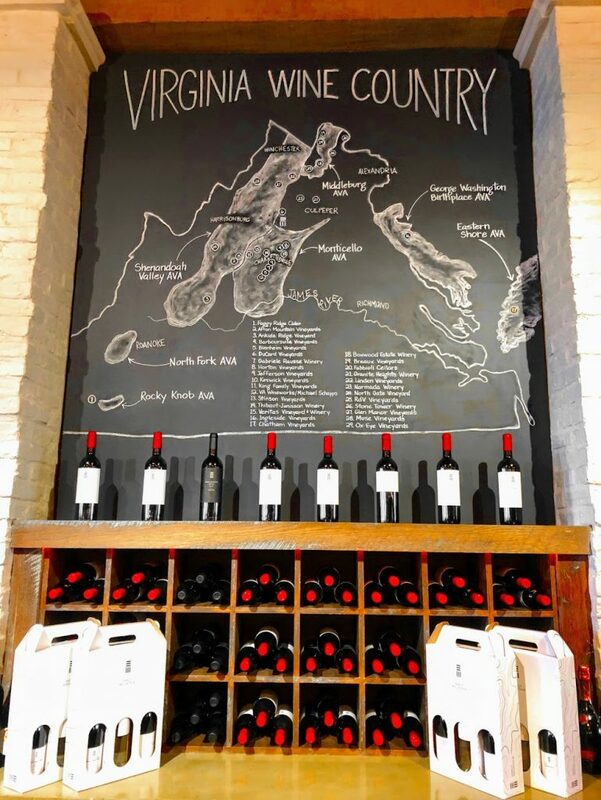 This effort extends to the tasting room, where they offer a “best of Virginia” menu of non-Early Mountain wines to taste, something that blew me away in the generosity department. One of the reasons that Ben is so prominent in the Virginia wine scene is the dedication he and Early Mountain have to building Virginia’s wine reputation, which they take to mean the necessity of making uniquely Virginia wines that express the state’s particularities. This can sometimes come into conflict with consumer expectation, especially when people from the Washington, DC area venture down into Virginia wine country. The DC wine crowd tends to prefer European and California wines, so a prominent example is the Bordeaux-style blend, one of America’s favorites and a bottle most Virginia winery visitors expect to find. As mentioned above, some Virginia wineries over extract their fruit in order to produce a wine reminiscent of this style and come up short. Wineries like Early Mountain are embracing some traditional wine ideas, like blending Bordeaux varieties, but are also embracing techniques and approaches geared toward harnessing and expressing Virginia’s climates and soils. Their 2015 merlot from the Quaker Run vineyard (sold out now) is a great example of this. Early Mountain took over the vineyard in 2014, which has vines planted in 1999. Because the merlot from this site retains great acidity and maintains a low pH, Ben can “go full-on extraction.” The end result is one of the more complex merlots I’ve had in years. Not all Virginia merlot can be treated this way, and when it can’t, Ben doesn’t. There is less extractive merlot available in Early Mountain’s line up as well. The best example of Ben nailing Virginia wine, in my view, is his petit manseng. When I think petit manseng, I think Early Mountain. It’s an incredibly challenging grape to make into dry wine, which is why nine times out of ten it’s used to make wines with residual sugar. Ben makes the best dry version I’ve ever had (which, to be honest, isn’t saying a lot as it’s hard to find dry petit manseng). The five pages of notes I took during a prior conversation with him about how he makes it are an indication of its complexity. The variety produces an abundance of sugar while on the vine, and can pile it on at a sprinter’s pace when the sun shines. The challenge of maintaining a favorable fermentation for long enough to convert all of the sugar ought to be enough, but this also pushes alcohol levels sky high. This might be okay, except that the variety kicks out a crazy amount of acid as well. Now, the winemaker has to deal with balancing high alcohol and high acid, which generally don’t go together all that well. Finding the balance in all of this requires diligence and precision in the vineyard and winery. That’s the abridged and simplified version. Ben has done it well. The 2016 petit manseng (sold out now) has lovely aromatics that give an impression of a warm climate white: ripe and rich banana, vanilla bean curd, crème brulee, white pepper and juicy peach. It’s similarly styled on the palate, where it is minerally-driven, and has an exciting physical sensation. Though there are other impressive Early Mountain wines – I’m particularly fond of the 2016 Shenandoah Valley cabernet franc and 2016 Eluvium red blend – the petit mensang is the winery’s stand out wine for me. My final visit was to a Virginia classic: Barboursville. It’s winemaker, Luca Paschina, was my host. When I reached out to him about visiting, he invited me to join a release lunch for his 2017 rosé of nebbiolo, Luca’s favorite grape and one that Barboursville has pioneered in Virginia. I was a bit surprised that a rosé from Virginia deserved its own release party, so when I arrived and sat down I asked him if it wasn’t just an excuse to get a group of friends and wine lovers together. As it turns out, Luca hadn’t always been happy with the rosés he’d produced in the past – mostly out of petit syrah – and had gone on a rosé-making hiatus for a number of years. During that time, he experimented with nebbiolo and when he felt he got it right, he decided to release it. The result is the 2017 Allegrante, which blends in a bit of petit syrah as well. Not to imply that I had noticed an absence of Barboursville rosé and was waiting anxiously for the Allegrante, but it was worth the wait. My favorite rosé profile is medium-bodied with some juiciness, lifted aromatics and sharp acid, and Allegrante nailed it. That’s not to say it’s the way all rosé should be made, but Luca made my style. My favorite thing about Barboursville is Luca, I must admit, because I love his attitude. He had earned the right to cut one of the very most popular categories of wine in America – rosé – from Barboursville’s line up and did so because he couldn’t figure it out. Not many winemakers I know would admit – to the extent of abstaining from its production – that they weren’t making a wine they respected enough to sell. Further, think about what it takes for a winemaker, at a winery he does not own, to decide to stop producing a top-selling wine: he had earned the respect and deference from ownership to do so. And further, it’s almost a contradiction: a winemaker good enough to earn that respect and deference being a winemaker who felt he wasn’t making a wine good enough to sell. Towards the end of lunch, I was telling Luca and some of our fellow diners about a fortified traminette I love called Hedonia from Finger Lakes producer Fox Run Vineyards, and how if you serve it with a large block of ice and squeeze some orange zest into it, it makes a wonderful cocktail (I can’t take credit for the idea, the winemaker recommended it). Luca’s face lit up. “Wow, that’s a great idea. I’ll be right back.” A few minutes later he came back with his dessert wine, which they call Paxxito. It’s made from moscato ottonel and vidal blanc that are harvested early and dried in the traditional Passito method to allow the grapes to “raisin” – that is, dry out and concentrate the flavors and sugars. It’s then given an extended fermentation in older oak barriques and allowed to age for a while. He poured me a glass, and as I tasted it asked me whether I thought it’d be good over ice with orange zest. It would undoubtedly be, though I’m not sure I’d want to dilute it as the ice melted. It was my first Paxxito experience, and I’m a fan now. Barboursville is best known for its Octagon, a blend of Bordeaux varieties. It is one of the state’s best known and most respected wines, and definitively ends the argument about whether Virginia makes age-worthy wine (it can). Its nebbiolo reserve is also worth seeking out. The real treasure of Barboursville, though, is Luca, and if you can make it to a winemaker event with him, that’s the best Barboursville suggestion I can make. Central Virginia, the state’s most established wine region, continues to improve in good part because of these five wineries: Stinson, Veritas, King Family, Early Mountain and Barboursville. Their reputations and importance to the industry are why I chose them for this trip. Though each winery had wines I don’t need to try again, they are indicative of why wine lovers should get excited about Virginia: they’re striving to make a reputation for Virginia wine that doesn’t try to emulate something it isn’t. In doing so, and focusing on quality and the reality of what they can do best given what they’ve got, they’re making some very interesting and compelling wines of world-class quality. Aaron Menenberg hails from Seattle, Washington, but made the move to the Washington, DC area in 2006 where he has remained, mostly, since. Though forever a slave to Northwest wine, Aaron has developed a taste for Virginia and Maryland wine through exploration and two vintages as a harvest intern at a Virginia winery. Aaron works in politics, but spends a good deal of time continuing his wine education through tasting, traveling and writing. 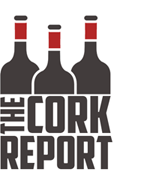 In addition to his role at Cork Report, he is the author of Good Vitis wine blog. Thank you for visiting us! We’re happy to hear you enjoyed your experience with Matthieu and appreciate you including us in your review of of the Monticello AVA. We hope you’ll visit again soon when you return to the area to try some of Matthieu’s new Small Batch Series wines. Your source for news, reviews features and opinion from and about North American wine (and cider) country.